CTFSN exists to help families raising children with disabilities and special healthcare needs. Connecticut Family Support Network (CTFSN) was built on the tenants of family support and leadership and was created by the Connecticut Family Support Council in 1998. 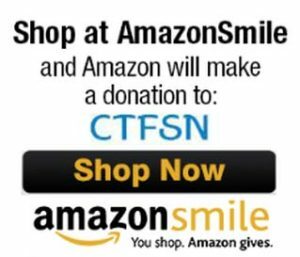 CTFSN became a 501(c)(3) nonprofit organization in 2010. CTFSN was created to support and empower families in their communities, to share information and resources, and help families to make their voices heard. Family support has been the sole mission of CTFSN since its inception. Within that overall vision, families raising children and adult family members with intellectual disabilities, developmental disabilities or special health care needs in Connecticut, are provided information and resources to locate the support they need. CTFSN aims to help ensure the best outcomes for their family member, and the family as a whole. CTFSN was created to be a true statewide organization where staff work and live in the community they serve. All staff members are parents, family members or other caregivers to a person with special needs. With these goals in mind, CTFSN employed staff members who were knowledgeable about services in their location, and who would partner with local providers and professionals. CTFSN does not necessarily recommend or specifically endorse any of the resources listed on our website. Special Needs Support and Self-Care for Parents – You Are Not Alone!